Last November, I decided to forgo traveling home for Thanksgiving, and instead spent my break reuniting with several close friends. Though we all attended high school together in my hometown of Madison, Wisconsin, we decided to meet in Washington, where a close friend attends the University of Puget Sound. The break proved a much-needed opportunity to reconnect with my friends, and to immerse myself in Washington’s abundant and diverse natural beauty. My friends and I elected to spend the bulk of our time hiking at Mt. Rainier and Olympic, two of the state’s most cherished National Parks. Removing myself from the dense urban fabric of the Bay Area for a week and exploring a state with more wilderness area than almost any other in the nation, I found myself contemplating questions of nature and accessibility, and how they relate to overall well-being. Whether factual or exaggerated, it’s no secret that UC Berkeley’s student body has a reputation of stress, competition, and overall poor mental health. This begs the question: is the psychological plight of Cal students a straightforward product of the school’s demanding academics, or a property of a toxic culture that prioritizes test scores over self-care? I imagine the answer to that question is complicated, and that the two are intertwined. During my time at Berkeley, I’ve been consistently critical of the unhealthy obsession with scholastic achievement shared by so many of my fellow students. Yet I also find myself falling into the trap of equating self-worth with academic performance—a fallacy that is all too common at Cal—and contributes to the misery of many students. When I left for Washington in late November, I was in the midst of academic anxiety, and I found my headspace dominated by concerns over upcoming assignments and tests. 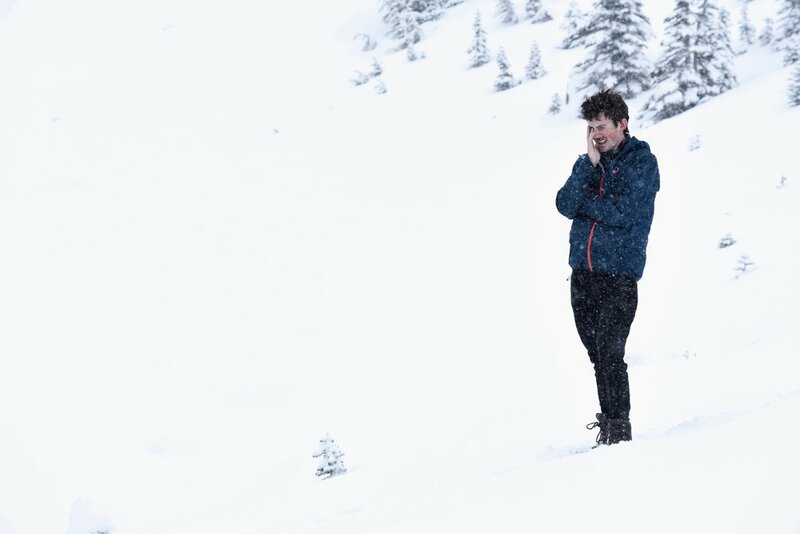 Just days later, trekking through verdant rainforests and over snowy mountain passes with old friends, these worries seemed to fall away as I was overcome with awe and gratitude for the natural world. My trip to Washington confirmed many assumptions I’d long held regarding equanimity, interpersonal connection, and the natural world. During the time I spent in the company of close friends, exploring environments ranging from windswept beaches to dense forests, I was struck by how intensely exposure to nature elevates my well-being. This observation became a common topic of conversation between my friends and me during the trip, and we felt a common concern for how nature-deprived many college students are. Though Berkeley is surrounded by natural beauty, including Tilden Regional Park and the Strawberry Canyon Fire Trails, my impression has been that few students take the time to regularly seek out these spaces. For many, Berkeley is an institution, as well as a geographic area, that provokes bitterness and anxiety. By contrast, my friend at Puget Sound, who spends his weekends hiking, skiing, and climbing throughout Washington, could not be more content with his school and environs. It seems to me that Berkeley lacks the cultural context to make exposure to natural beauty a widespread priority, denying many students the feelings of gratitude and peace that these experiences so often facilitate. Perhaps shifting student culture at Cal away from such mainstays as joining consulting clubs and pulling caffeine-fueled all-nighters, and towards seeking out experiences of interpersonal connection and natural beauty, would help to mitigate some of the harsher aspects of attending UC Berkeley. During the drive ascending Mt. Rainier, my friends and I stopped to gaze out over the slopes of nearby mountains, and marvel at the sharp contrast between the snow-covered alpine trees and those lower down that still lay bare. Near Rainier’s peak, oppressive cloud cover imbued the landscape with an unshakable moodiness. Fresh snow began to fall as we traversed the mountain’s slopes, catching my friend by surprise. 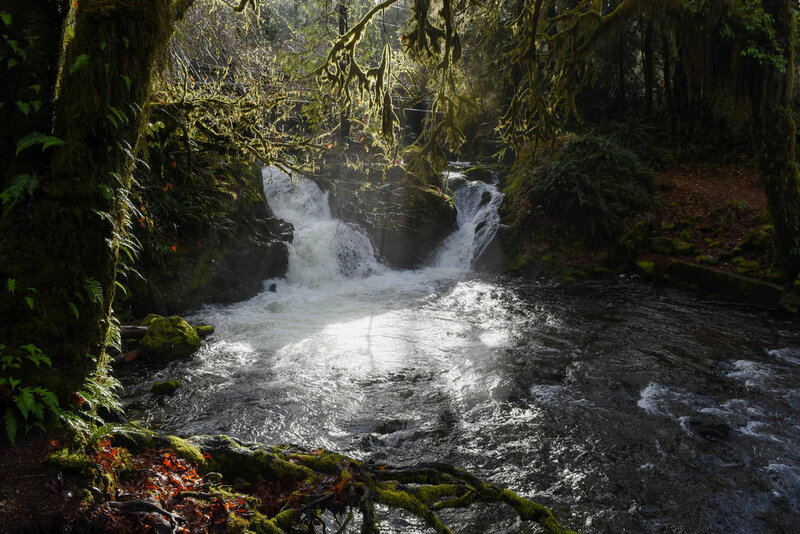 In Olympic National Park’s Quinault Rain Forest, sunbeams penetrated the mist emanating from a creek. My friend gazed in awe at the lush emerald foliage in a forest at the base of Mt. Rainier. Less than an hour earlier, we had been covered in snow while hiking near the mountain’s peak. 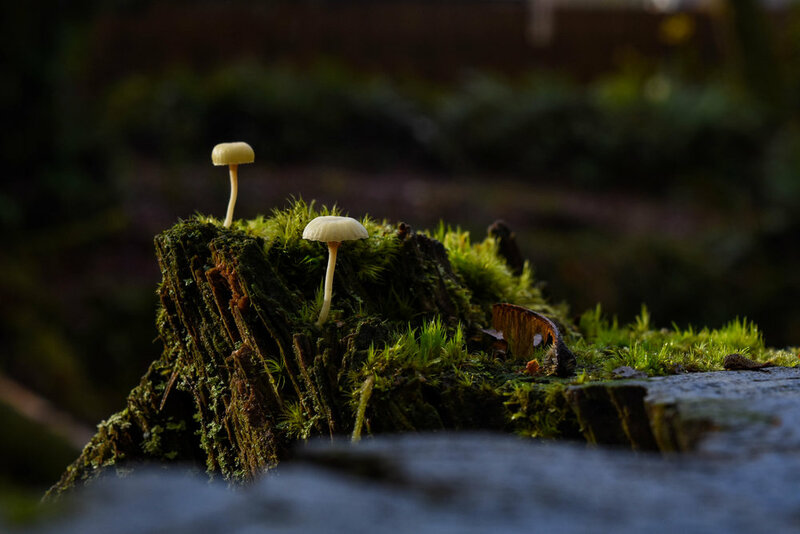 The plentiful rainfall and abundance of decomposing plant matter make the forests of the Pacific Northwest a hotbed for fungi such as the mushrooms pictured here. Just hours after hiking in a rainforest, my friends and I made our way to Washington’s coast, where we encountered tide pools tucked in the cracks of rocky outcrops. Mist enveloped the woods on the opposing shores of Lake Quinault, as my friends and I finished our hike through the Rain Forest.